Did you know that Ireland has the biggest amount of Google searches in the world for ‘How to lose weight’ and ‘lose weight’ and not alone do we have the most searches for a country but we also have the most searches for a city too! When looking at which city in Ireland would search for ‘how to lose weight’ and ‘lose weight’ the most, Dublin comes up top for being the city that searches the most for “lose weight” or similar searches. So what does this mean? Who knows! Does it mean that Irish people and Dublin people the most are worried about their weight and want to do something about it? Does it mean that the percentage of over weight people in Ireland and especially in Dublin is higher than the statistics are showing? Maybe people have started to realise that their health is in danger and what they eat is causing health issues and they want to do something about it! What ever the reason “lose weight Dublin” is a massive topic for people. I see these statistics as a positive thing – It is a good thing that we want to know more about weight loss especially since the stats show that our obesity rates are going through the roof and are heading towards the sort of stats that America have with 68% of people being overweight or obese, those Americans who are considered normal weight, over 50% are estimated to carry an unhealthy amount of body fat. 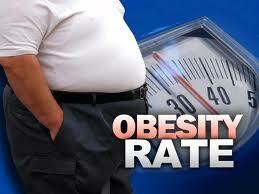 Adding up all the numbers, at least 84% of American adults have what is considered an unhealthy level of body fat. As I mentioned in one of my previous blogs Obesity in Ireland, the current rate of adults being overweight or obese in Ireland is 61% which is pretty close to our American counterparts at 68%! It’s not just Dublin that is high on the Google search list but Sligo, Wexford, Kilkenny, Kerry and Westmeath all showing up in the top group but other towns and cities coming closely behind. A meeting of prominent medical figures took place this week in a bid to tackle the growing problem of obesity in Ireland. “BOOTCAMP” REALITY shows on television are misleading people about the level of hardship involved in losing weight, according to a leading physiotherapist. When researchers looked at the health benefits enjoyed by people who are getting the recommended minimum of 2.5 hours of exercise a week, they found that it made no difference whether they got their workout in short spurts or over longer sessions. “Little and often” are the key rules for exercising to lose weight, he says. Exercising also does NOT have to mean torturous gym sessions and terrible aching muscles! Yes as you start to get fitter and use different muscles there may be a little tenderness, especially on muscles that you haven’t used before, but generally if you start slowly and build up gradually your body will love the new change in your routine and you will also start to feel much fitter and healthier! I myself even look at some of the T.V. shows and wonder if watching those would suddenly compel me to go out and exercise………I suppose the answer would be no! When I first started my weight loss journey, the thought of being seen in public at the size I was, in a big sweaty mess, filled me with dread! I think having that reinforced on the television would only cement my negative feelings towards exercise, and how other people would perceive me out in public exercising! What I have found now, is that exercising is a positive thing. It makes me feel good. I started gradually just walking at first, then starting with a steady pace on the cross trainer and eventually moved into running! Building up slowly like this meant I got that feel good factor straight away without having that “near death” like experience as shown on the dramatic T.V. shows. Doing it in this manner also means that you are more likely to STICK TO IT! 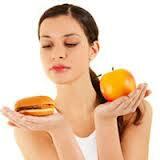 The reason why most diet or exercise plans fail is because it is a case of too much too soon. We jump in full throttle into a new lifestyle regime that is so completely and utterly different from our normal regime that of course the changes are highly unlikely to stick as both your body and your mind go into shock! Give yourself the chance and ease yourself in gently. Make small changes every day, every week and every month and see yourself progress further and further towards the new you! There are so many diets, food plans, quick fixes, weight loss pills out on the market today but the only person that can make you lose weight is yourself. Using a food and exercise diary puts all the control into your hands, and allows you to ease yourself in gradually in your own time and in your own way. This makes it much easier to keep the new changes in place and gives you a plan for the future! Why Weight Ireland offers everyone 2 Days FREE access to Ireland’s best and only online food & exercise diary 🙂 Click the link below to be brought to the diary home page where you can click on Take a 2 Day Free Trial – once your trial is complete you can visit our Prices & Packages page on our website and select one of our memberships to continue and receive the benefits of being a full member. Those who complete the 2 day free trial and who would like to continue will receive 20% Discount off our most popular 6 Month Membership.